C.I.A.D. 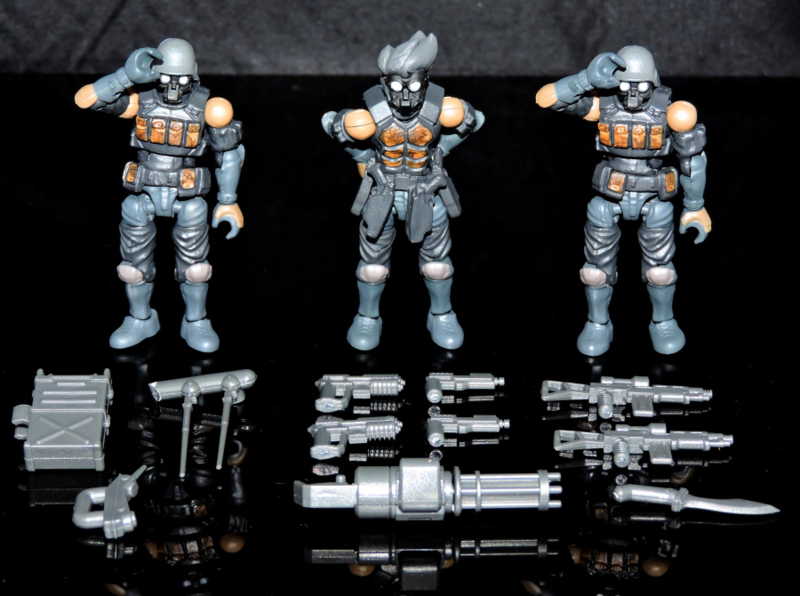 is excited to bring you a pictorial review of the fantastic new B2.Five Acid Rain World Wave 3A Bucks Team Trooper Set! ! This wavemate to the B2.Five Acid Rain World K6 Jungle Chapel HETT600k was one that I was excited for since its announcement, as it introduces Jack, one of the original Bucks Team members, to the 1/28th scale. Alongside Steel who was originally released as a part of the K6 Jungle Trooper set, this is now 2 of 5 Bucks Team members in this scale, with more to come! Check out his review after the jump! Discuss on the HissTank Forums› Views: 1031 › Credit: C.I.A.D. I'm excited to bring you a pictorial review of the fantastic new B2.Five Acid Rain World Wave 3A Bucks Team Trooper Set! Housed inside are Jack alongside two Bucks Team Troopers. They�re beautifully detailed and have the amount of articulation that you�ve come to expect from these amazing little figures. They come with a large assortment of weapons and accessories, including the new Communications Back with Antenna! There�s even a machete style knife that is absolutely brilliant! There�s also �common� Agurts Military weaponry, such as their rifles and Gatling guns. As noted above, the detail on these new offerings is stunning. Jack looks just like his 1/18th scale counterpart. I love the molded weaponry on his belt. The Troopers are fantastic, sharing the same color scheme as Jack & Steel, so they fit in with the Bucks Team flawlessly. If other B2.Five Acid Rain World Offerings are any indication, these will surely sell out, so don�t wait on picking them up! Trust me, they�re worth every penny!